After years of spending recklessly, people have rediscovered the reward of saving. However, savings strategies differ based on the individuals’ financial situations. Those who are debt free need a different approach from those who have been living on credit. Nevertheless, one rule stands for everyone: Pay yourself first! The wrong strategy is to first pay your bills, then cover recurring expenses such as food or fuel, and finally put whatever remains into savings. This seldom works. Something always happens to absorb the “leftover” money: an impulse buy or a lunch with friends. However, if savings are a part of your budget, you will be less inclined to indulge in those daily lattés with your “leftover” money. Set a target of 10 percent of your take home pay for your savings account. 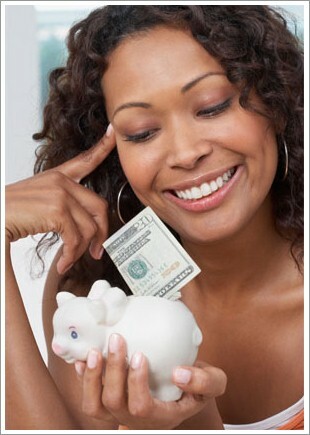 If you are debt free, you are well situated to maximize your savings, because credit does not consume your earnings. Therefore, shop for the best interest rate you can find. Today, rates on even large amounts of money vary from a mere 0.1% to 0.35% or more. Often–but not always–credit unions pay better rates than banks. Also, watch out for fees. Many financial institutions impose them if your account drops below a certain balance or if you write more than a set number of checks. Finally, check on special accounts for larger deposits. These often pay better rates than certificates of deposits while still giving you unlimited access to your funds. In your zeal to pay off debt, keep one key point in mind: always put some money into actual savings. You will accomplish nothing good if you throw all your “extra” cash at your loans with nothing left to cover unforeseen expenses. Without emergency savings, you will find yourself using credit to bail yourself out. This will sabotage your savings strategy and increase your indebtedness. Therefore, when you “pay yourself first,” give half to actual savings and the rest to overpayment on your loans. Saving builds wealth and improves your quality of life. By paying off debt and finding savings programs with the highest rates, your wealth will quickly grow. Finally, paying cash is tantamount to saving–when you don’t pay interest on a loan; you are saving at that interest rate. Previous articleIT’S PURE, IT’S SIMPLE, IT’S POOKA!!! !